This listing is for 100 packs of BIO CR80 cards. 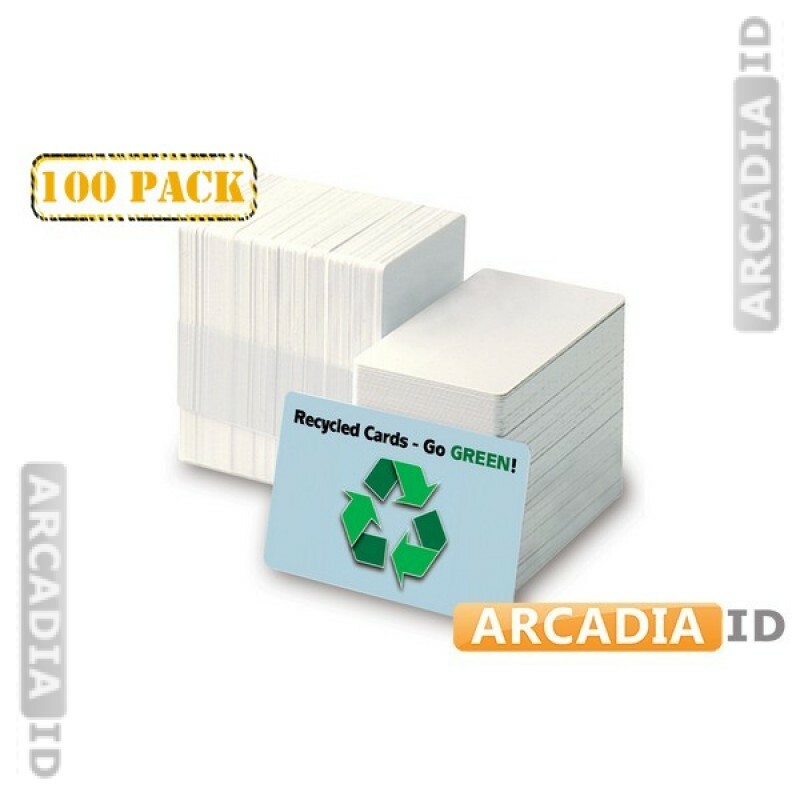 These blank cards are ready to be printed onto and are completely recycled to help your company go green and send an eco friendly message. For more types of blank card in varying quantities take a look around the rest of the site! For the top quality at the best prices you can rely on ArcadiaID.